The Adolescent and Children’s Trust was formed in 1992 by a group of local authority service managers, who were also qualified and experienced social workers, who had expressed concerns that the rapid changes were resulting in the lack of adequate foster care and adoptive placements. As local authorities were encouraged to provide home-based foster care in place of large residential children’s homes, Independent Fostering Agencies (IFAs) like TACT were established all over the country to find homes for children and young people. TACT was established as a charity from the outset, to ensure that any surplus income was reinvested into the organisation to help meet the needs of looked after children. 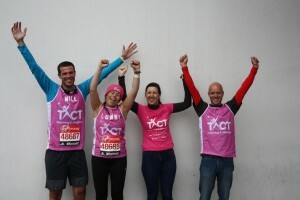 TACT has grown both in size and scope and there is now a national network of TACT offices in England, Wales and Scotland. The type of care offered to individuals is based primarily upon one thing; the best needs of the cared for child or young person. The whole ethos of TACT is based around ensuring the best quality of life for those in care. To this day our core remit is to provide high-quality, child-centred fostering and adoption services. However, we also campaign on behalf of children in care, carers and families. Instead of local authorities placing children in their care in residential homes, increasing priority was placed on offering family based care to a much wider range of children and young people both in terms of their age and the complexity of needs that were presented. This move was also consistent with the rapidly emerging philosophy of providing care close to children’s own family, school and social contacts. 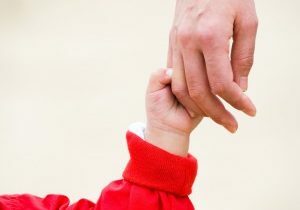 The organisation was subsequently registered as a charity ensuring that any surplus income was reinvested in meeting the needs of looked after children placed with TACT. Children Law UK worked to benefit children involved in the justice system. The organisation was incorporated into TACT’s external affairs department, which campaigns, lobbies parliament and works with the media on behalf of children in care. 2016 – TACT continues to provide a safe and stable homes for children and young people who are unable to live with their birth parents. TACT is appointed to run Peterborough City Council’s fostering, special guardianship order, adoption and kinship placement services from April 2017.